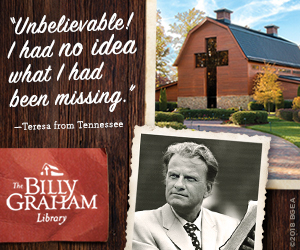 On June 5, 2007, the Billy Graham Library first opened its doors. Now, 10 years late, more than 1.1 million visitors from around the world have walked through the foot of the cross to hear how God used a farm boy from North Carolina to take the Gospel of Jesus Christ to the ends of the earth. 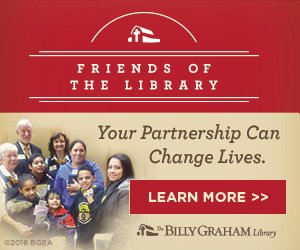 Learn more about the Library and the ministry that has happened at billygrahamlibrary.org/10years. I have for about 30 long years been inspired by the ministry of Dr Billy Graham. Because of him being one of my main heroes in life, I readily quote him in my pulpit messages and among friends, with delight. May the much that I have come to know about the lord through this man and ministry be same if not more for others too – around the world. I served on 2 Crusades in NY. 1988 in Rochester,NY. On Exec. Comm./ Prison Min Coordinator for W.N.Y.S. With Billy and with Ralph Bell and Danny Agajanian. In 1994 I served on Exec Comm and Prison Ministry Coor. for John Wesley White, and Dennis Agajanian. I PRAISE GOD for the opportunity to serve with your Incredibly Holy Spirit inspired Ministry. GOD BLESS and keep you all in His Loving Hands. 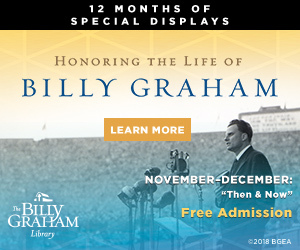 How I praise the Lord for the Billy Graham Association and I praise the Lord for this presentation on the 10th Anniversary of the Billy Graham Library. He has been an inspiration for me for the 60 years of my ordination as a pastor in the ministry, as I was ordained by the Reformed Church in America on June 18, 1957. I also praise the Lord for all that Franklin has done in carrying on the work of his father. Now, I just listened to our Vice President and it was thrilling to hear his address on this 10th Anniversary. 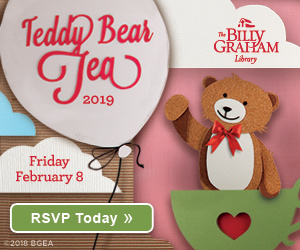 I will continue to pray for the vast work of the Billy Graham Association and my wife, Darlene and I regularly support the work of the Billy Graham Association. We will continue to pray for their important witness. Dear Mr. Graham ! Just want you to know that I Love You and appreciate you Sir very much . I live in Virginia and all my life I’ve always heard and read so much about you . I would love to meet you face to face , but if not here I’ll meet you over there . I got to meet Franklin in 2008 when he spoke at Tinkling Spring Church in Fishersville , Va. , So God Bless you and please pray for me ! I have visited twice and recommend a visit to everyone I tell about the library. From the greeters at the gate to the prayer counselors at the end of the tour, I felt truly welcomed. It is a lovely place, both physically and spiritually. Thank you for the update. I hope to visit again soon. Really my life is changeg through watching Pastor Billy Graham Sermons Iam praying for ur family Love Sheva Divya. Praise the Lord for Billy Graham and all who loved and encouraged him to be all God called him to be!!! For his team and staff may blessings be upon them! save many many soul.ove the world. God bless us and Graham family.